The heart pumps blood in only one direction and to ensure smooth flow of blood through the heart, we have valves. Basically, four valves are present in the heart: pulmonary, tricuspid, mitral and aortic, with each responsible to ensure that the blood flows in the right direction. Heart Valve Surgery is required when one of these valves does not function efficiently. Why heart valve surgery is needed? A. Valve stenosis: In this situation, the valve fails to open fully and hence, obstructs the blood flow. B. Valve incompetence: In this state, the valve is not able to close properly which leads to a backward flow of blood. Disorder or damage to the heart valves may also take place due to other diseases such as high blood pressure, coronary artery disease, heart attack, congenital heart disease and cardiomyopathy. These disorders are known as heart valve diseases and once they start affecting the functioning, heart surgery might be needed. 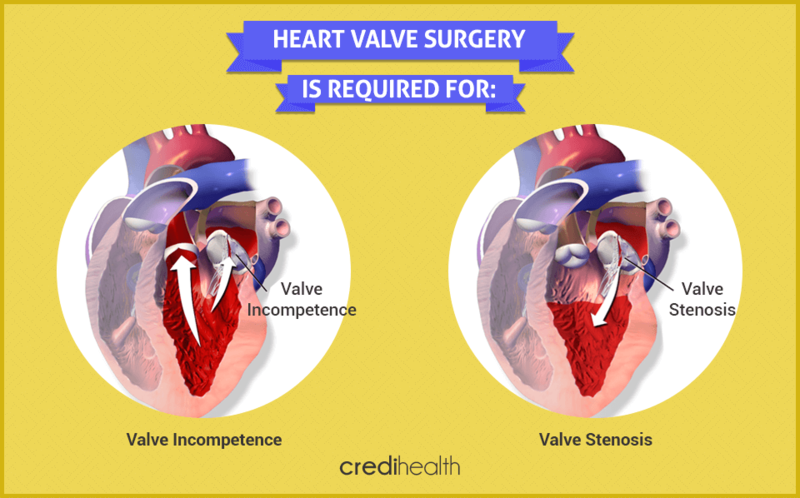 How many types of heart valve surgeries are there and which type is needed for a particular patient? When there is no serious damage to the mitral valves (have become leaky and floppy), present valves are only repaired and not replaced. When the present valves are seriously damaged and replacement with a newer one is required, valve replacement surgery is conducted. The most commonly found replacement valves are tissue valves and mechanical valves. how many of them are affected? how badly they are damaged? which one is injured the most? Also, read about Hole in Heart Symptoms amongst children. 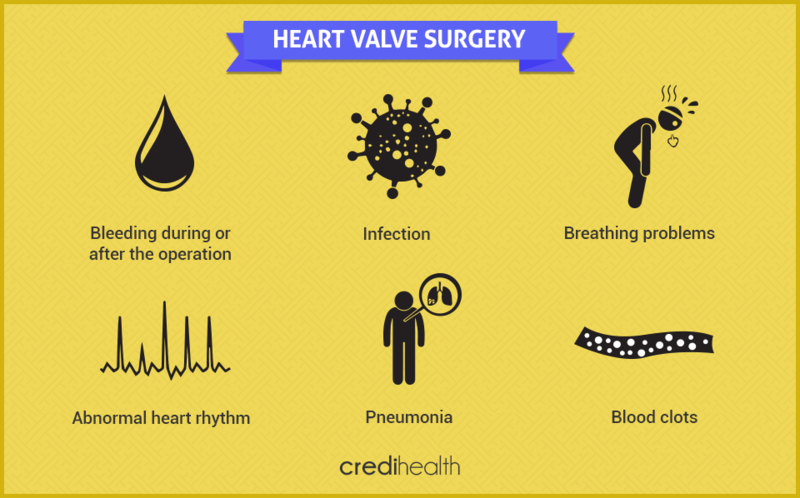 What are the benefits of heart valve surgery? For most of the people, the surgery proves beneficial as it greatly improves the quality of life and the occurrence of symptoms. Is there a need to follow medication afterward? If a mechanical valve is replaced by the affected one then the patient has to take an anticoagulant medicine for the rest of his life. As the valve is made of artificial material, it enhances the risk of a blood clot on the surface of the valve and thus medicines are a must. If the tissue valve is replaced then the medicines are to be taken only for a few days to a few months.